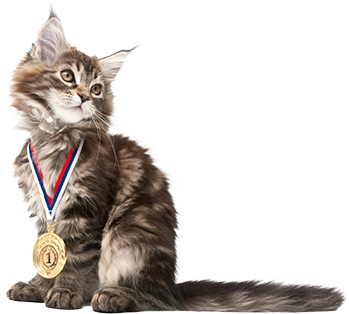 Upon completion of the Pro Pet Hero course, you will be certified in pet CPR and first aid for 2 years. 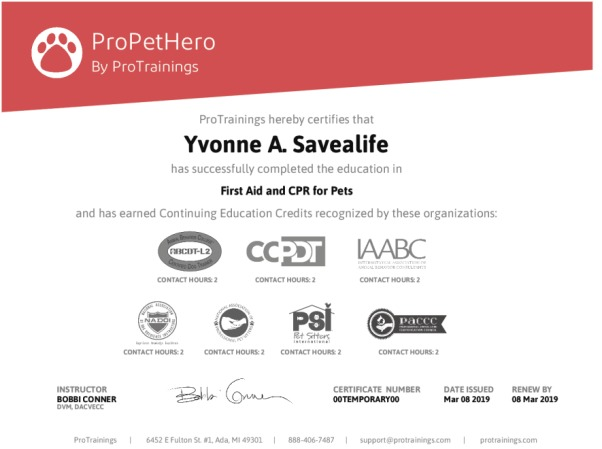 To recognize this, you will be able to print out a wall mount certificate that verifies that you have completed and passed the entire training course and includes a list of all topics in the Pro Pet Hero curriculum. In addition, you will have the option to purchase a professional copy of your Pro Pet Hero wall certificate laser printed on high quality paper.